Gamers or internet users only? Gamers or internet users only? Which is which? Gamers or internet users only, does it matter? 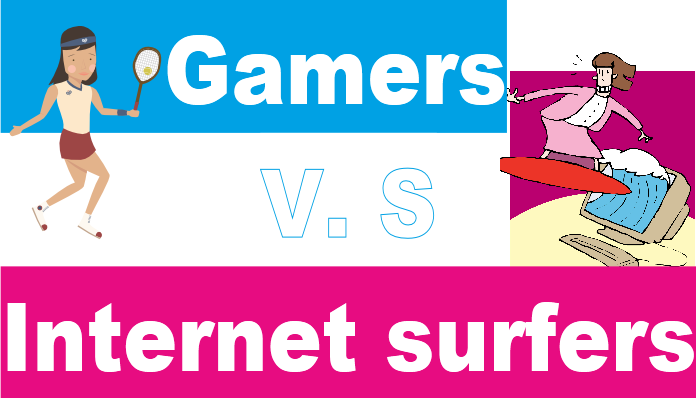 A good friend of mine who owned an Internet cafe asked me, “Which market should I prefer, gamers or internet users only?” Simply I replied, “Both!” Why? Gamers are indeed the most loyal customers, almost everyday they allocate money just for playing, plus they play in group. They are really a good market. But aside from computer rentals that gamers gives to your shop the only addition is, if you sell game cards and that’s it. The other downside of gamers market is you need to have a very good hardware which is costly. While internet users, a simple Pentium 4 (1.6 ghz.) will be good enough and they give you sales on other services such as; printing, scanning, tutorial, cd burning, mp3 downloading and more. So am I underestimating the gamers? Of course not, my reply is both, it’s neutral and you should, if you owned an Internet cafe. If you can hit two birds in one stone, why not? Internet café needs gamers as well as internet users to be more profitable. It will not take long in the business if, it only concentrates of either market, gamers for big computer rentals and internet users to accumulate other services sales. It’s a game of balancing, rentals plus other services would be a great profit. [alert-note]Recommended for you: Internet Cafe SWOT Analysis[/alert-note] It should be your formula if you own an Internet cafe. The competition of today’s Internet café business is very tight; sometimes you are forced to bring down your rental price just to be able to compete. So, if you rely only on rentals you would end up crying. Two is still better than one!If you are the owner or you are just about to start an Internet cafe, which of the following market would you prefer? Gamers or Internet users?